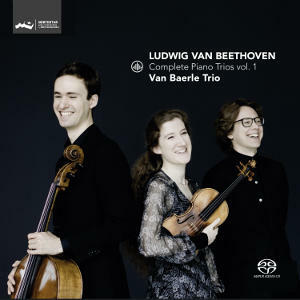 With this third volume the Van Baerle Trio confirm being well on their way to deliver a complete set that doesn’t turn pale in the face of the very best available in any format. Moreover, theirs has the advantage of boasting a supreme sound quality. Not only because of the use of Chris Maene’s purpose built ‘Straight Strings Concert Grand’ (without interference of crossed strings) with a sound image somewhere in between ‘old and new’, giving the music a pleasingly warm fundament, but also Bert van der Wolf’s peerless recording technique, almost wiping out (depending on the quality of the sound reproduction) the difference between the concert hall and a private listening room. Quite exceptional, really. 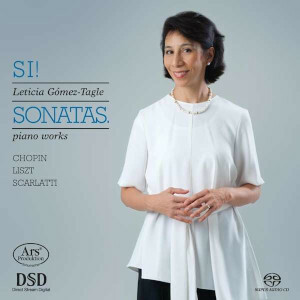 In both piano trios Op. 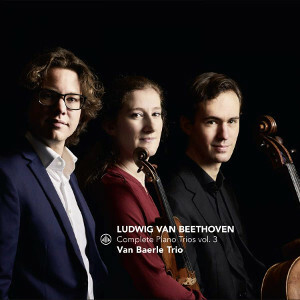 70 the van Baerle Trio, clearly shunning any hint of sentimentalism or exaggerated drama, play with authority and elegance, conveying the nobility of the dedicatee, Countess Marie Erdödy. 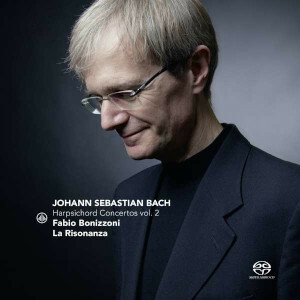 The following variations Op. 44 become a moment of sheer joy. 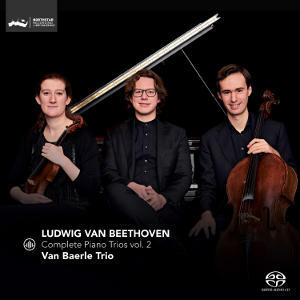 Under their capable hands each variation (of a theme by Carl Ditters von Dittersdorf) unravels Beethoven’s ingenious handling of the material in simply textured melodies reminiscent of the unequalled simplicity Haydn expressed in his best piano trios. I suggest that meanwhile listeners read Martin Noorduin’s clarifying liner notes, which are, as before, of a pleasant and informative nature. I do hope that I’ll be excused of giving a final verdict as long as the set is not complete, but so far it has all the hallmarks of becoming a much desirable one.